• The whole platform is now focused on the Workspaces. • You can now customise your workspaces by adding or removing Add-ons. 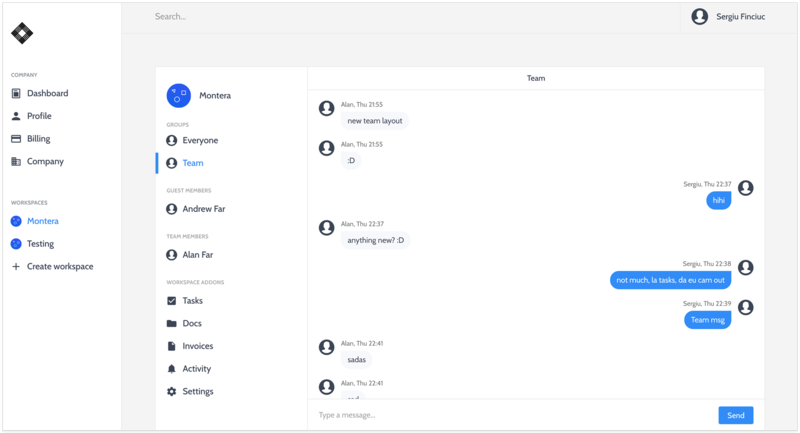 Right now, the only available add-ons are Chat, Tasks, Docs & Files and Invoices, but we plan on developing this area in the future and we are also looking forward to your feedback and suggestions. • We chose to remove the “Dashboard” section since it didn’t have any practical value. • The platform will remember your last visited tab on each workspace. • The platform will remember your last tasks view, list or board. • You can now create multiple lists of tasks within the same workspace. • You can also customise the task statuses on each list. 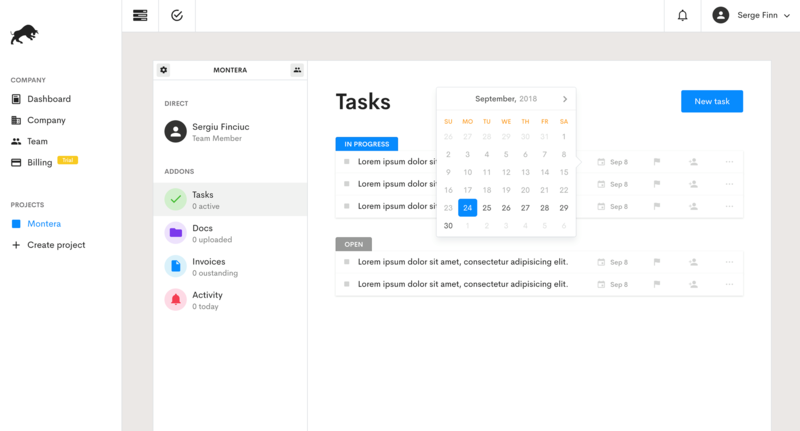 • We've improved the tasks board view to reduce clutter. The tasks only show details as "due date", "priority" and "assignees" if they are already set. 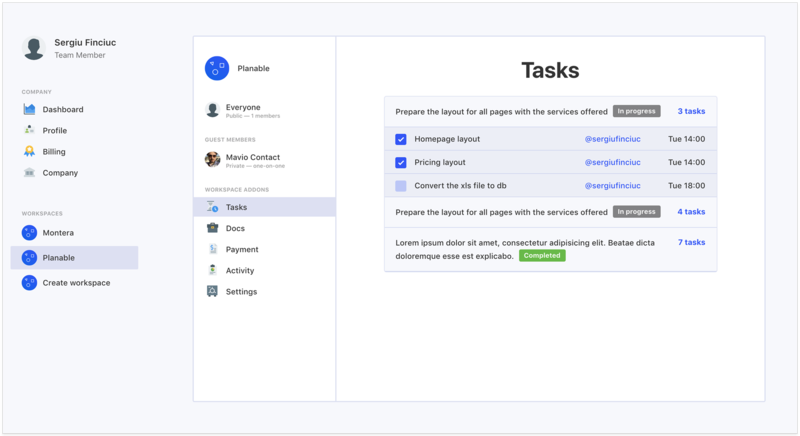 • The "My Tasks" section got a facelift. You can now sort tasks based on Workspace, Priority, and Due Date. You can also search for a certain task, workspace, or list using the search bar. • You can now organise your files and documents using Folders. • We’ve changed the text editor for documents with a better version. • The notifications will be grouped based on task so no more duplicate notifications from the same task. • You will be able to clear all your notifications or go through them and clear them one by one. • You can now set the frequency you get emails about new notifications. By default this is set at 5 minutes. 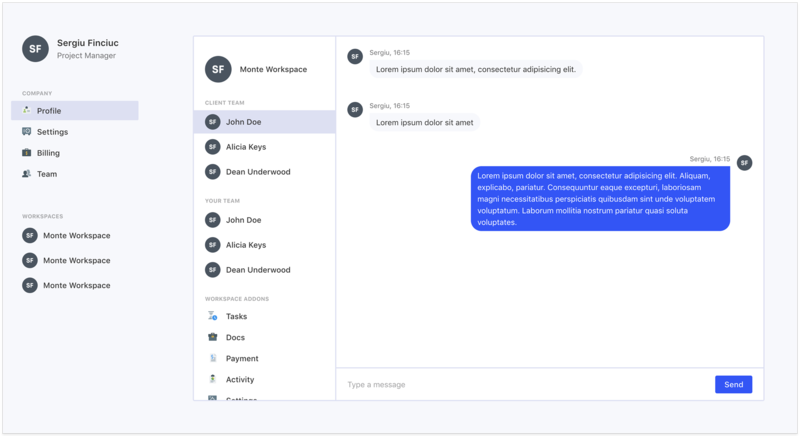 • We felt that our current pricing plans were a bit restrictive for some of our users so we’ve got rid of the pricing tiers and implemented a fixed price per workspace. • The new workspace price will be $15 per workspace per month and it will include our most valued feature, the white-label option. • You will be charged at the end of the month based on how many active workspaces you had in the current month. If you are only going to use a workspace for 10 days, you will only be charged for 10 days and not for the whole month. • Also, no more 14-days free trial. Every company gets one, free forever, workspace. • There will be an option to remove the Montera branding completely for an additional charge of $5 per month per workspace. This also applies to the free forever workspace. • You get the option to customise the whole platform for you and your clients. Change colours, add your own logo, domain, and even a sender name and email for notifications. • All transferred data will be hashed and encrypted for a more secure and private workflow. • The fastest and most reliable real-time engine is implemented across the whole platform. • We've added a new section called "Help Center" where you can find useful articles about different functionalities on Montera. • You can also use this section to "Submit a Ticket", "Report a Bug" or "Request a Feature". • This section will only be visible to you and your team. Your guests won't see this section. • Search Feature with “Workspaces” tab. • Several bugs have been fixed when assigning different members and roles. • Closed tasks appeared in “My Tasks” section. Along with everything else, we’ve restructured our plans, giving you more space to work with clients. The Solo plan gets 2 more active workspaces (now 5). The Studio plan gets 5 more active workspaces (now 15). The Agency plan gets 10 more workspaces (now 50).